Sometimes, if the outfit deserves it, I skip the usual "best of the last week" roundup stuff and just concentrate on a single costume. I'm doing that this week, because this Skyrim piece definitely deserves it. The last time I honoured a Skyrim outfit like this was in November 2012, but that gallery was helped by a good model and a good photographer. The costume itself was... good, but also a bit basic. This costume is amazing. 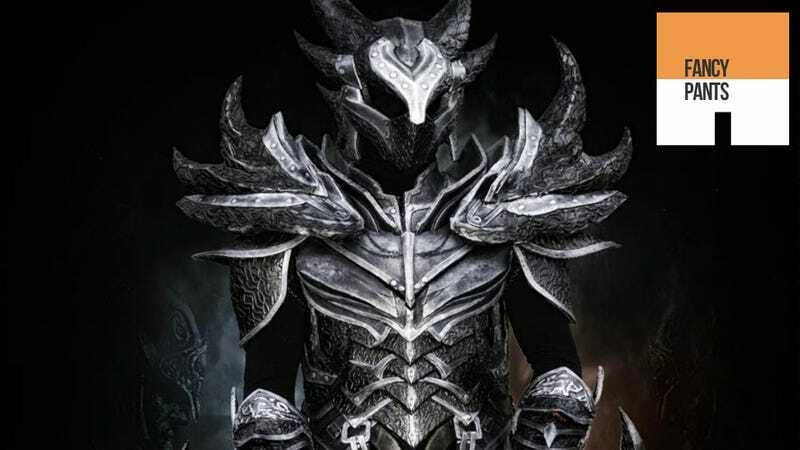 It's a complete set of Daedric armour. Everything. Boots, helmet, weapons, the lot. Best part though is probably the effect of wearing a morph suit underneath it all. It turns an impressive suit into something a little creepy. Most of the images in this gallery were taken by Gianluca Bini, while the cosplayer himself is Chris "Zerios88" Wolvie.